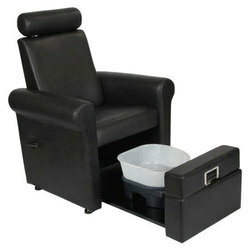 Professional pedicure chairs for salons. This complete Pedicure Spacomes with jacuzzi function, inlet & outlet for hot & coldwater. The water drainage is quite convenient. The water can be filledwith hand held shower from the water source fitted inside the jacuzzitub. We design and produce custom pedicure stations to meet specific customer requirements. With your choice of type of seating, fabrics, finishes and colors, you can offer pedicures in an environment that enhances the overall look and feel of your facility, we offer professional pedicure spa station for salons & spa centers. Descriptions:Six jets powerful jacuzzi, Fully Remote controlled Shiatsu massage in chair, Reclining, wooden handles swings, Infra red and multi chromo lights under water. Pedicure Spa Wood Finish, Size: 30"60"
We deal in a wide variety of (Manicure Pedicure Sofa)and contact us for any related requirements. 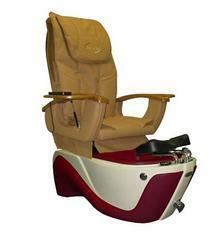 We introduce our business as a noteworthy organization of qualitative array of Pedicure Chair.